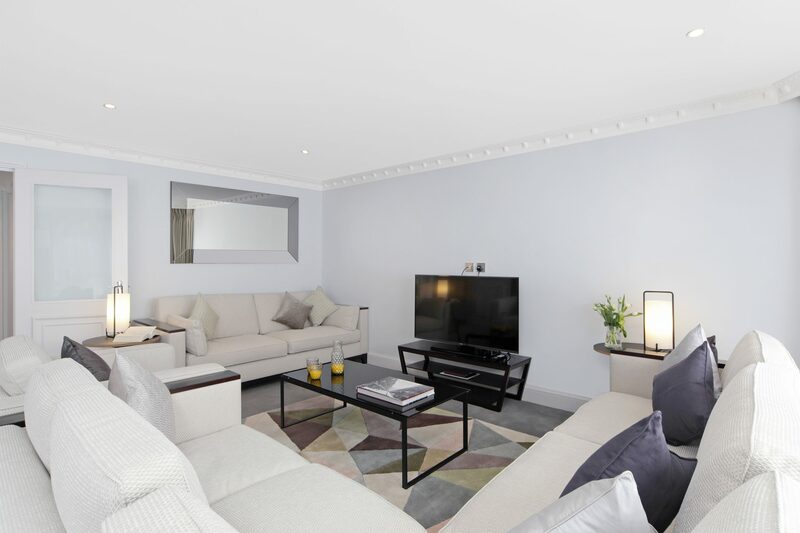 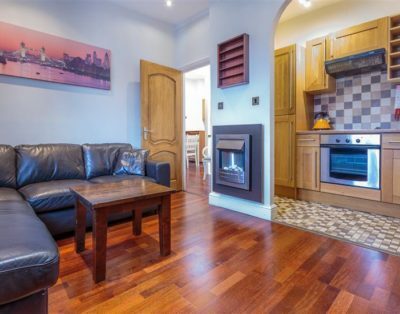 This new Three Bedroom apartment has a generously sized Living/Dining room with premium audio-visual system, TV/DVD (with Sky and choice of satellite channels). 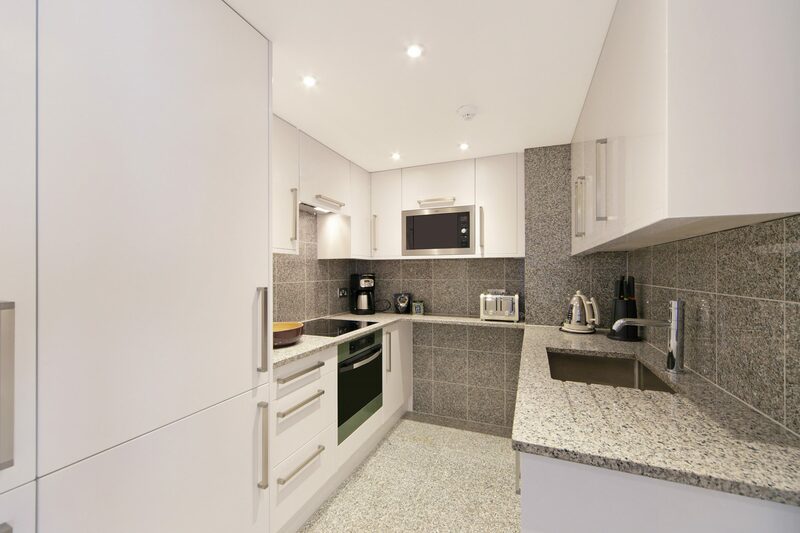 The fully-equipped Kitchen is fitted with modern appliances including dishwasher and washer/dryer. 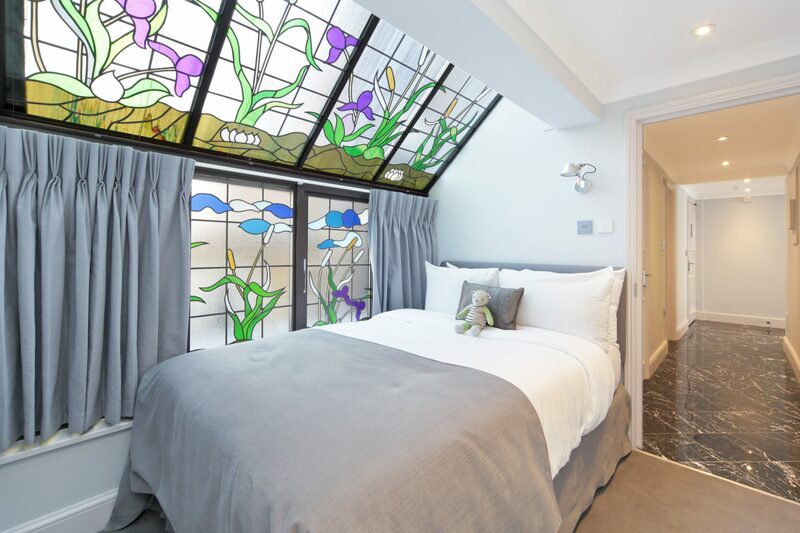 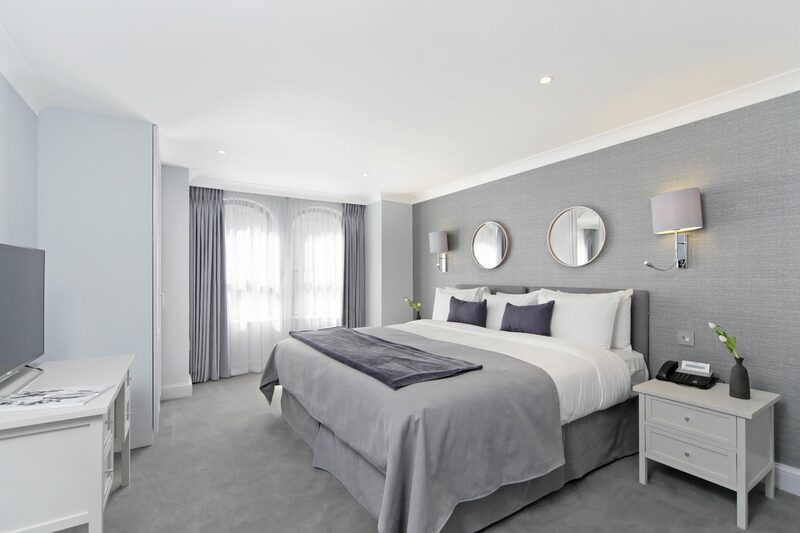 Two of the Bedrooms are fitted with King-size beds (that can be divided into twin beds, if preferred) and the third Bedroom is fitted with a Queen-size bed. 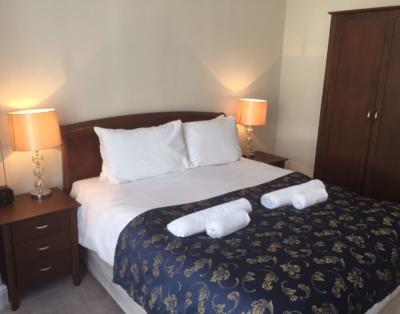 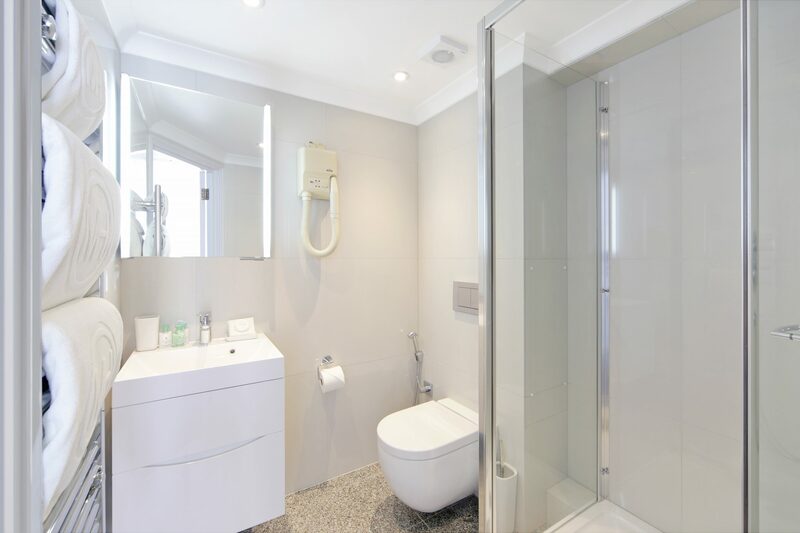 All Bedrooms feature an en suite Bathroom with bath , plus there is a fourth Bathroom for visitors. 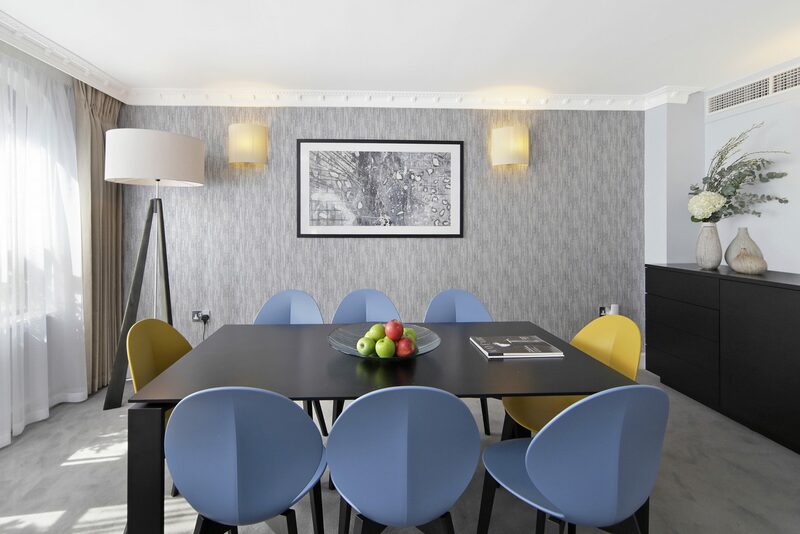 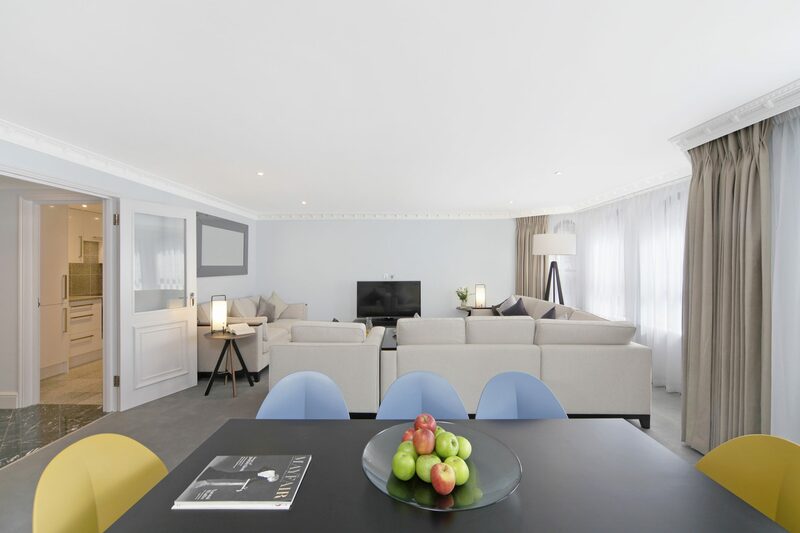 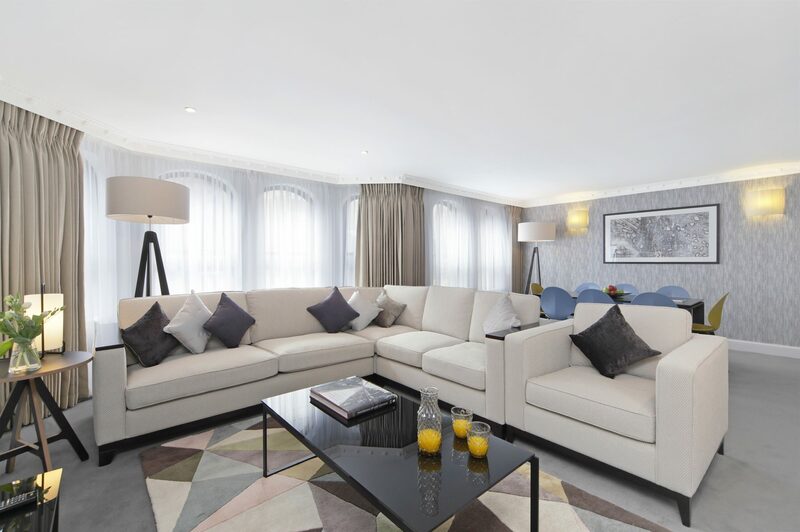 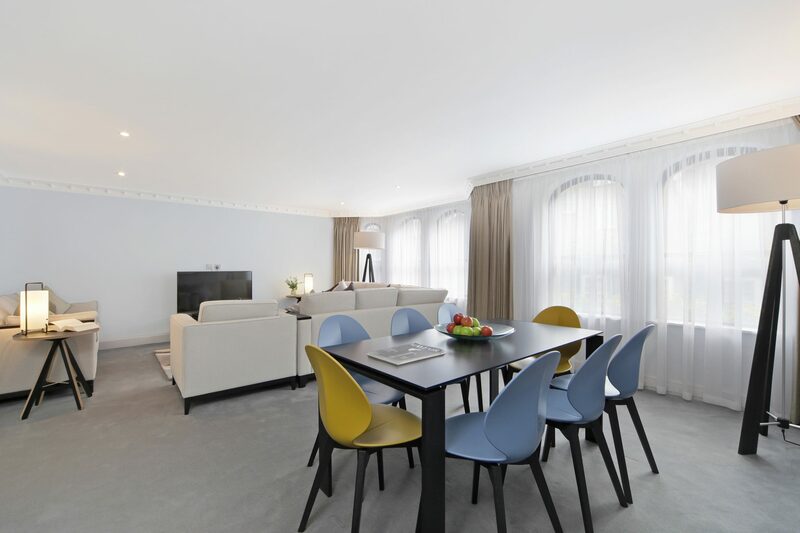 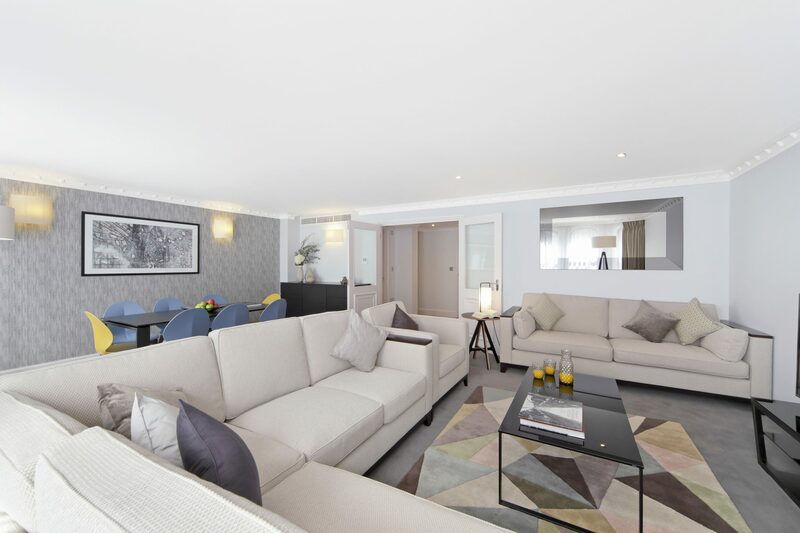 The apartment is located on the Third Floor (lift access available) and features modern furnishings and spacious rooms that have been designed to maximise light. 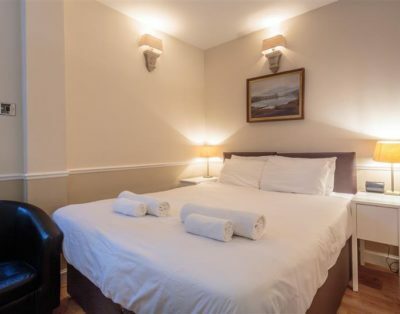 Ideal for families and extended stays.